It’s almost Halloween and you know what that means – HALLOWEEN Parties! The good news is there’s no shortage this year and if leather, fake blood and booze are what you’re after – Tickets There got yo back y’all! 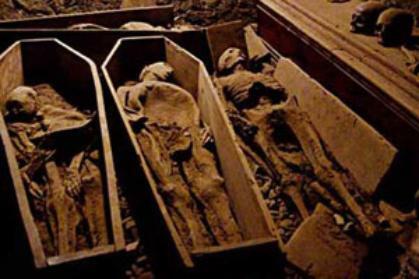 If we find more we’ll let ye know. 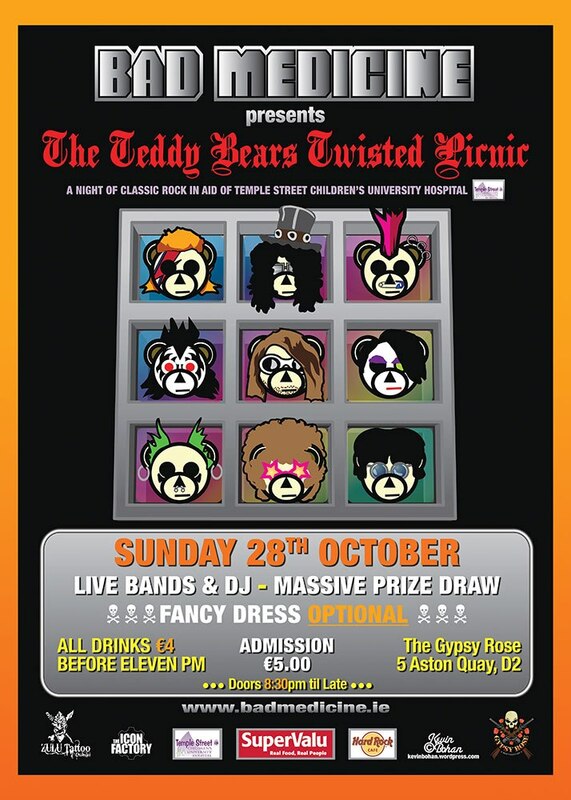 The Temple Street Children’s Hospital will benefit greatly from the silly volumes of Jack Daniels and Jagermeister Tickets There plans on downing at this charity event. A while night of fancy dress, drink promotions and classic rock. There’s a cover charge but all proceeds go to the hospital so you can get plastered in the safe knowledge that medicine will benefit from you. Done! 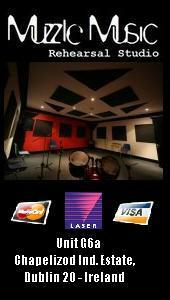 Drinks promos: €4 all drinks till 11, €5 after. Entertainment: Classic rock tunes and lots of lovely girls. We’ve had pro….. 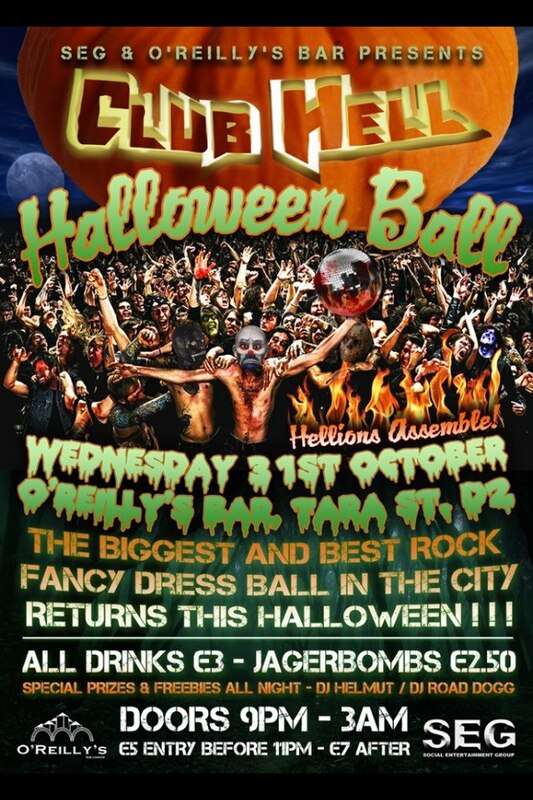 The now annual Blub Hell Halloween Ball is back with all manner of drinks promotions, fancy dress, fire girls…etc. All drinks on the night will be a fairly decently priced €3 with Jagermeister going for €2.50 a shot. Not so bad. Cover charge is €5 before 11pm, €7 after. Entertainment: Tons-O-tunage…. And lots of lovely girls. 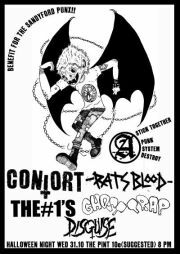 Want a scatter of punk bands and cheap drink? Then the Pint is the place to be on Halloween night. 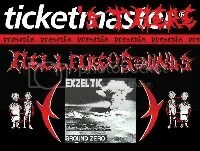 Five bands will play on the night with thepint.ie reporting it’s a benefit gig. Who’ll benefit? We’re not sure – but then again Halloween doesn’t have to be a charity night. Mayhem, gore and fun is all ya need. 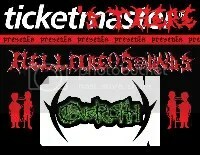 On the roster is Contort, Rats Blood, #1s, Ghost Trap and Disguise. Should be a laugh. Vodka (+ Miker), Irish Whiskey (+ Mixer), Jager, Mickey Finns, Sambuca, Tequila, Bottle s of VK, Pints of Fosters, Bav, Mad Dog and Slaty – all €3 each. Jack +coke, Captain Morgan + mixer all €4. Bottles of Buckfast, pitchers and 3xJager Bombs – €10 each! Now that sounds like proper drunk, Fibbers will be hopping! 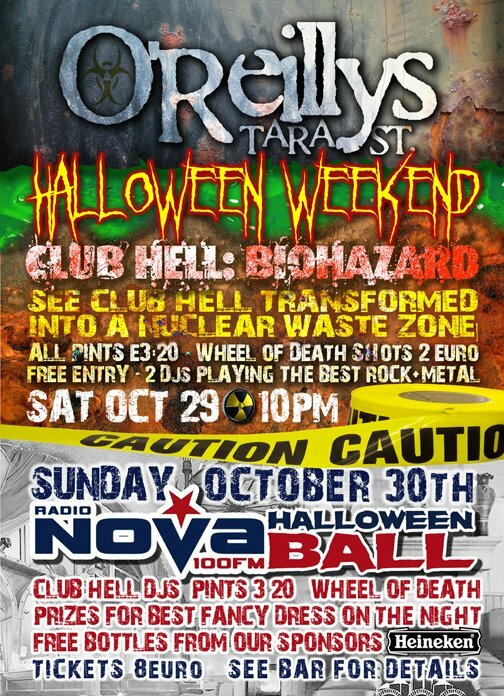 Fancy Dress: Yes and fancy dress get’s you €2 off admission. 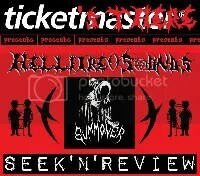 Entertainment: Four heavy-f**king-Metal bands and lots of lovely girls. 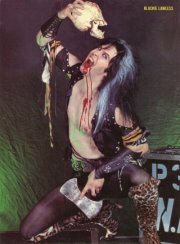 Entertainment: Hair metal up the hole!! The Gypsy Rose needs a bit of good cheer after a very tough week last week for both staff and customers. The sad passing of LJ Aherne won’t soon be forgotten, but if Mr Long John was around he’d be the first person to get everyone in good spirits. 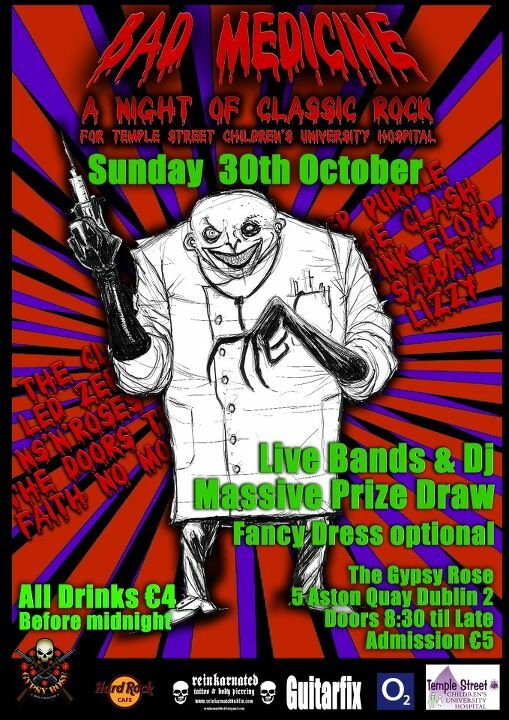 The task will now fall to the special Temple Street Hospital fundraiser being run by a few of the regulars on the bank holiday Sunday. 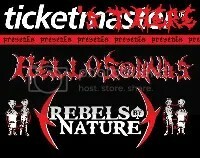 In addition to a night of full throttle rock anthems, there will be a prize draw and much more. All drinks are at the special price of €4 til 11, and..
All proceeds from admission and prize draw will be donated to Temple Street Children’s University Hospital. 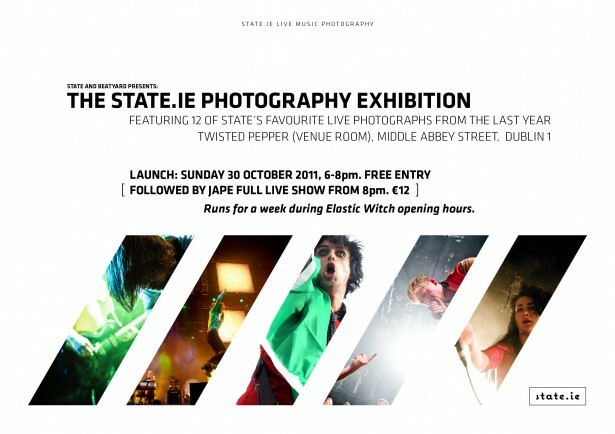 State.ie are launching their 2011 photography exhibition in Twisted Pepper on Sunday, October 30th. The show will feature shots from twelve of their premier photographers including Mr. Kieran Frost, Ireland’s greatest photographer. It all starts a 18:00 and finishes at 20:00. After that, the amazing JAPE will play a full band show in the main venue. Tickets for Jape are priced €12 on the door. Former Humanzi front man and current Admiral of all Things Black (yep, clever word play aside; it’s Shaun Mulrooney, the Admiral Black) return to Dublin today to headline an all day music event taking place at The Workman’s Club. 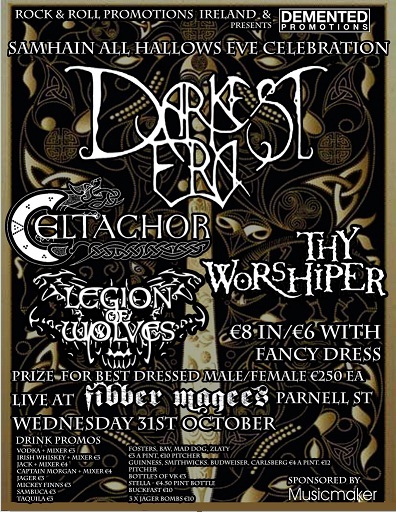 Fancy Dress, 7 bands and DJ’s; 18:00 – 03:00 AM (yep, 9 hours of music ‘n’ booze). 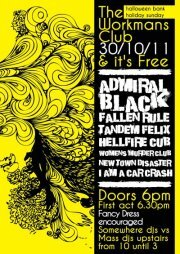 Also on the bill are Fallen Rule, Tandem Felix, Hellfire Club, Womens Murder Club, New Town Disaster and I Am A Car Crash. Oh and did we mention it’s ALL FREE? Well it is.